MAX GO is a free online service offered by Nex-Tech to our Cinemax subscribers. MAX GO gives you instant, unlimited access, to Cinemax content online. With MAX GO, you can stream several titles of Cinemax Series, Movies, Sports, Comedy and Documentaries to your computer, iPad, iPhone, Android device, and many other devices. 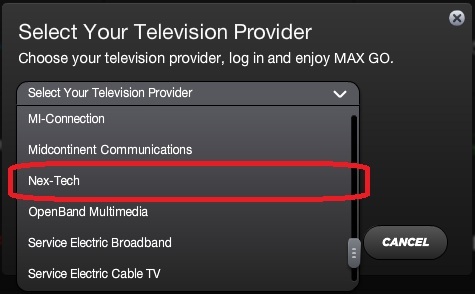 NOTE: MAX GO is only available to Nex-Tech television customers who are subscribed to the Cinemax Package. Click on Sign Up in the top right corner. Select Nex-Tech as your television provider and press Continue. NOTE: You may need to click on More in order to view the full list of providers. 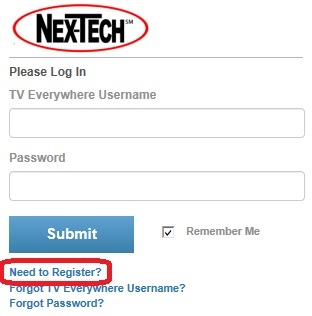 If you do not have a TV Everywhere account created, click on Need to Register?. Otherwise, enter your TV Everywhere Username and Password, click Submit and scroll down to step 7. You should now be redirected to another page to create a new account. 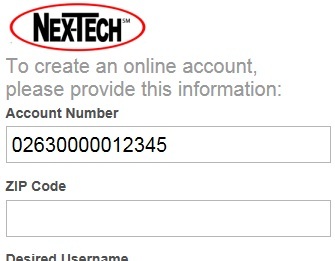 The Account Number needed is NOT your Nex-Tech account number. 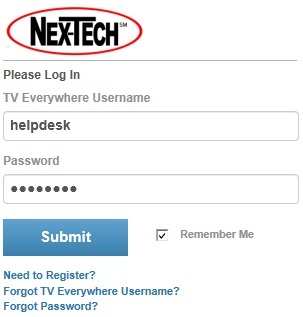 Instead, the account number is your TV Everywhere account number and can be found on your Nex-Tech bill under your tv section. Your TV Everywhere account number should look something like 02630000012345. Once your TV Everywhere account is created. Log in to MAX GO with the Username and Password that was just created. You should now be taken to one final signup screen. 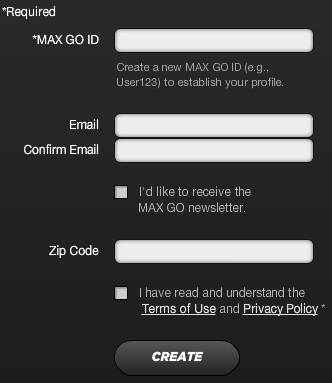 Here you will enter the MAX GO ID (or username) that you would like to have, email address and zip code. Finally, click Create and your MAX GO account is now created! NOTE: Your TV Everywhere account that was created can also be used to sign up for HBO GO and other online accounts. Posted - Fri, Jul 5, 2013 at 10:07 AM. This article has been viewed 6552 times.